In this Blog Post, I am going to let you know about an interesting service that is Google Adsense. Google Adsense Changes your passion or work into the money, and that is it’s best to part. If you are running a Blog or Website and your wish to earn money from an advertisement on your site then Google Adsense is one of the best option available for you. your content. Google Adsense is much better than most of the CPC sites available in the market and authentic too. 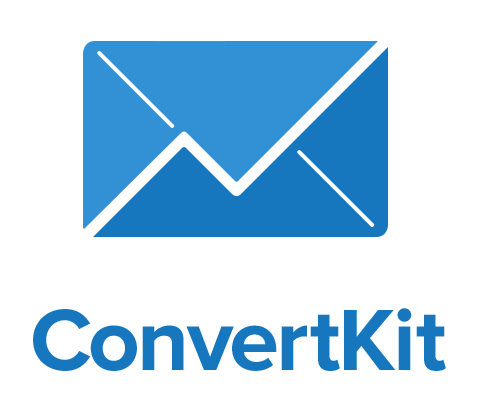 Adsense support team also provides you important suggestion and assistance through email time to time to improve your practice with Google Adsense. Most important thing is to always use Adsense as per their Adsense policy. Never try to violate their policy. When shall you start using Google Adsense on your website? There is no such fixed time for this, as you make the website or write the content for profit then you should use Adsense ASAP. All pages should have enough content for viewers like Home, about us and etc. As indirectly Google is paying you for your content as your content is enough good for fetching the leads, so content is always at top priority. So you should have enough quality content or blogs in your website so that Google Adsense team can review your website niche and quality of your content. the reason is you would have a good enough position in the world wide rank if would have had good content. You should have any testing templates, images in your website which generally comes with the WordPress setup by default as it does not give a good impression and they consider our website in a beta version. You should have all the necessary stuff required on a website like social media sharing, contact form, subscription form, comment box, as this stuff adds an extra value or impression for our site. 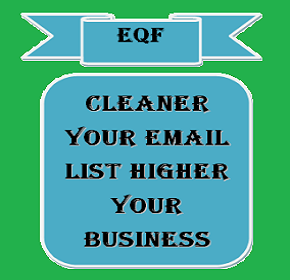 your website should be neat and clean. It should not contain any unusual content which violates the Adsense policy. So these were some important tips for getting early approval. What if they rejected your request? Don’t worry! this is just a procedure, they did not find you fit for the Google Adsense so they rejected your request. they will send a proper email for rejection covering all the points or reasons for rejections. So you just need to improve or work on those points and again apply for Google Adsense, this is really very simple process. I have also got the rejection for the first time request. What did I do when I got a rejection from Google Adsense Team? Actually, I sent my Adsense request very early, I was not having content and also had some testing stuff on my website. When I sent the request for a very first time then I did not get any reply for 7 days, I was hoping they will surely approve my request as they had already taken 7 day time. I was not sure how much time they actually take for reviewing the site, As per the website message they should take 3 days or less for approval. At 7th day I got an email from Adsense team and I felt happy until I open the email, but unfortunately, it was a rejection email. But they also sent the points or reasons which were responsible for my rejection. Then I took proper time of 25 and made enough content to my site and other stuff like complete details in the pages, then I again resubmit the request. This time my request was approved within 2 days. So if you are complete at your end they will not take more than 3days, and it you are not fit for approval then they might take 1-7 days for inspecting your site. Can we link two different Adsense account with the same website? 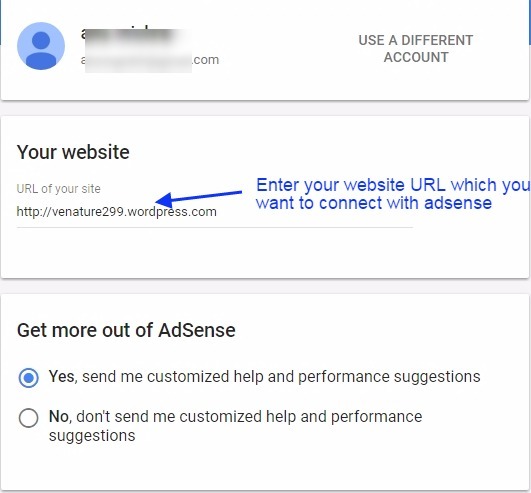 Yes, you can easily link two different Adsense account with your one single website as Google states that publisher can place the ad code from two different AdSense account on the same web page. And Google has not specified such restriction over the use of Adsense account on the same website. What is step by step procedure for setting up the Google Adsense account? This is a very simple procedure, you just need to follow the step by step procedure given below. 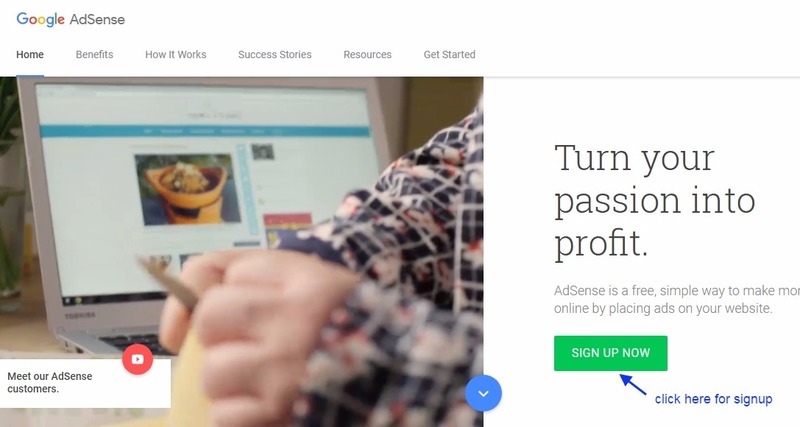 Signup for Google Adsense accounts with the link given below. Copy and paste into your browser. 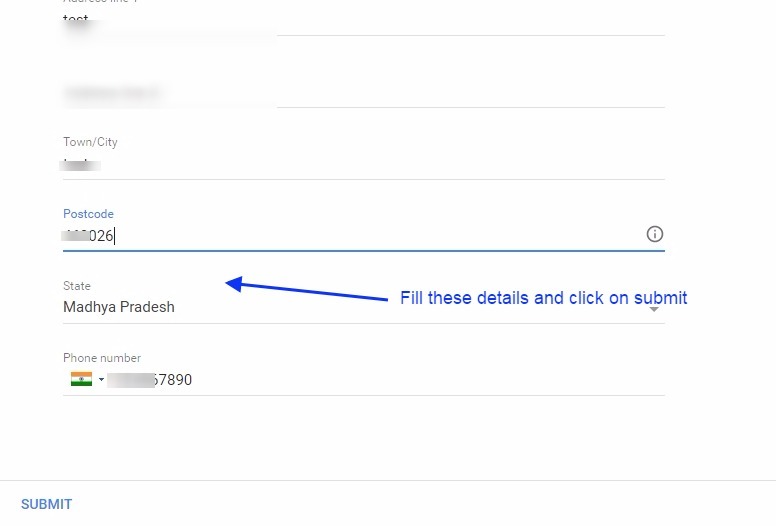 Signup with one of your Google account which you want to connect with Google Adsense. See the image below. 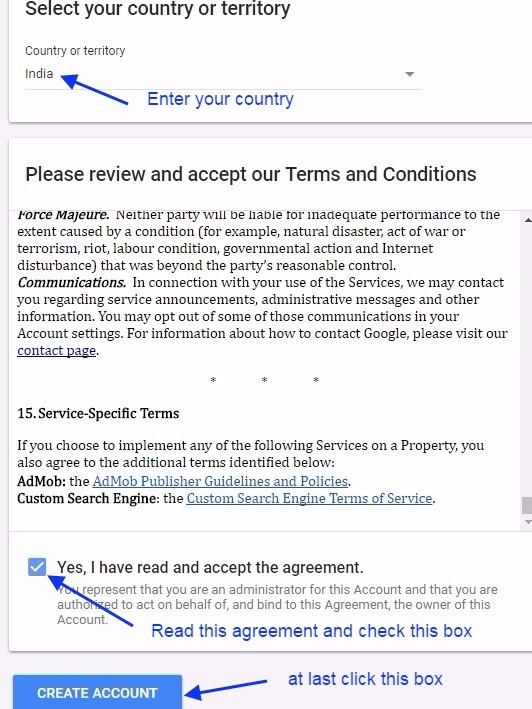 agreement and all, and then at last click on Create Account. See the image below for the same. Here you can see your Google dashboard with some disable option, here you need to fill few more important info regarding your payment address. See the image below for he same. Fill all the required details here and just click on the submit button. See the image below for the same. As you click the submit button, you will get a Google Adsense script code. You need to paste this code between the <head> tag of your website. See the image below. 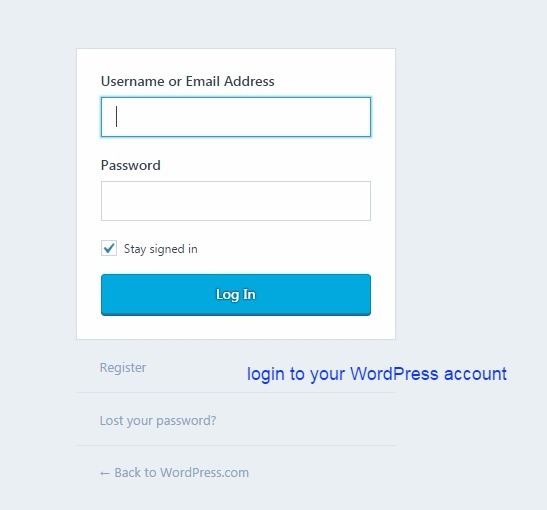 Now, for pasting this code you need to login to your WordPress website dashboard or Non-WordPress site. As this procedure is same for WordPress and Non-WordPress site. 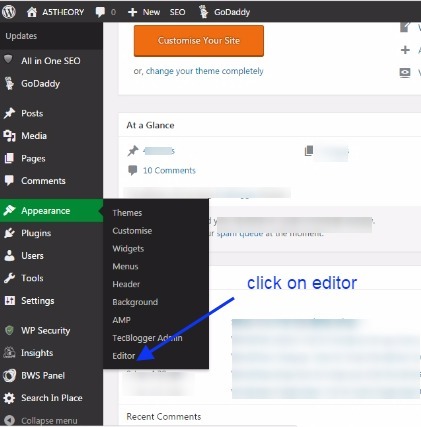 Here, you need to go in the theme editor section, in a case of a Non-WordPress site you just go to your index or header page where you have defined the main HTML section for your website. See the image below. 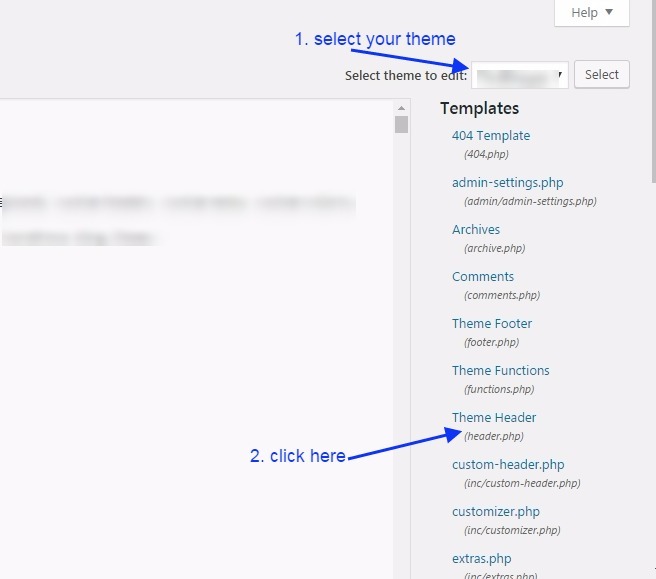 Here select your theme and then click on the header.php page. See the image below. 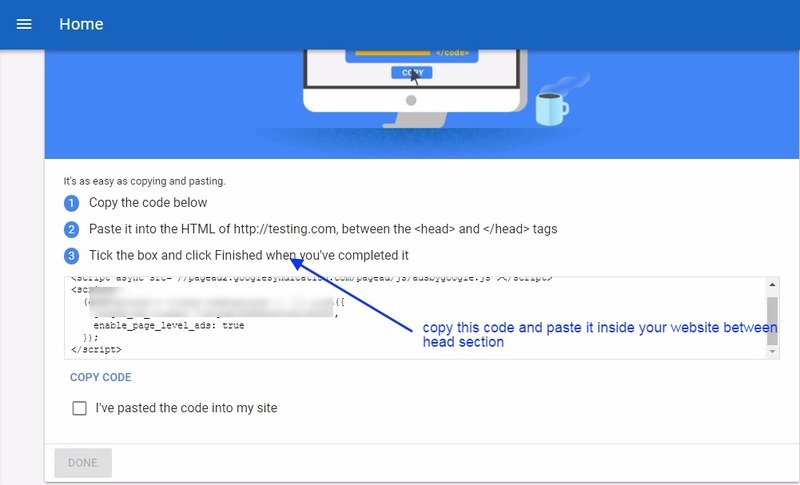 Here you just need to paste the Google Adsense code inside the head section as shown in the below image. 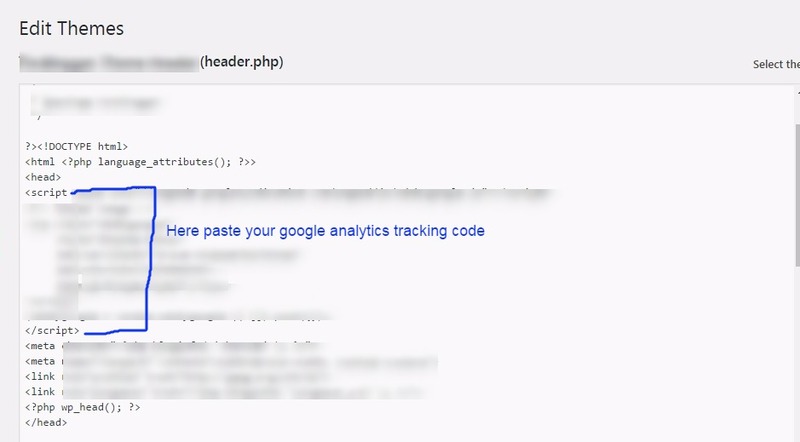 After you paste this code here, Google Adsense team will review your site and then they will approve your Adsense account. Google might take 3 days to review and approve your site. See the image below. 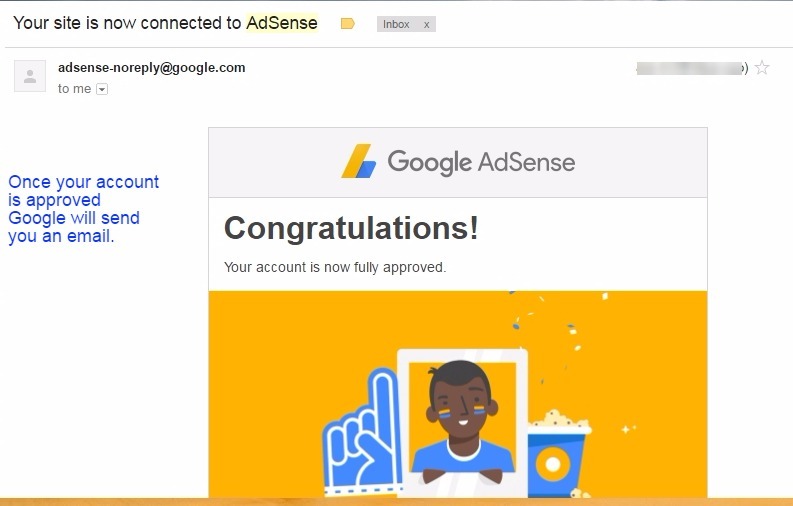 When Adsense team review your website and they find everything fit for your website then you send you back an email regarding the approval your Adsense account, Now you are allowed to put ads on your website and earn the profit. See the image below for the approval message. Google Adsense: How to create Ad units in Google Adsense?